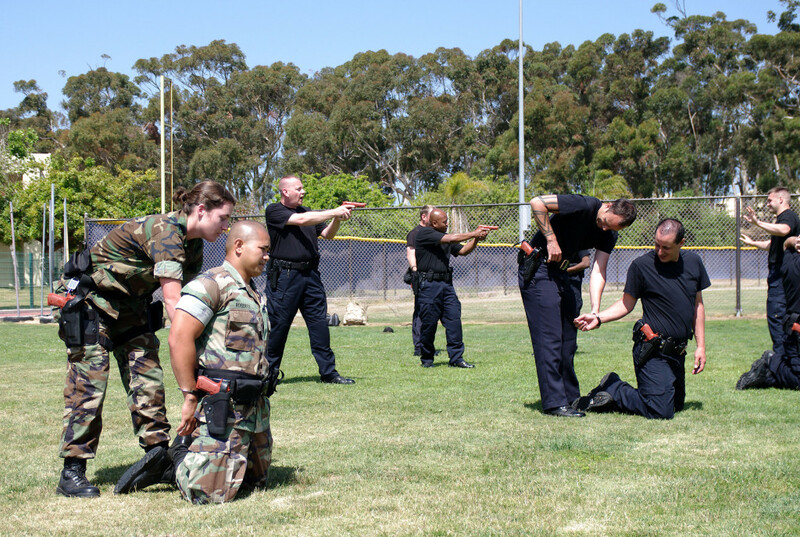 Being a corrections officer is more than just a job, a paycheck and experience for your resume. It is a profession of honor and courage, that requires skills that can mean the difference between life and death. 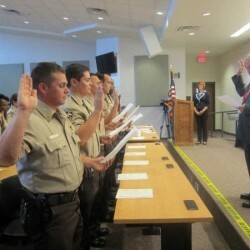 Correctional officers adhere to a code of ethics and professional conduct, which is a set of standards pertaining to morals and the effective discharge of duties. There is no uniform text for the code, with each jurisdiction or facility allowed to craft its own. However, the overarching goal is to administer justice with integrity, and within the bounds of the law. The code serves as the basis of policies and directives, rules and regulations, protocols and procedures, all of which are observed and undertaken in relation to facility management and operations. It embodies such core values as discipline, judiciousness, truthfulness, vigilance, respect for human rights, and sense of responsibility. Corrections officers who are found to be in violation of the code, or any of its provisions, are sanctioned accordingly. Gross violations have harsher punishments, not excluding forced resignation or dismissal (usually for administrative cases), and court action (especially if the breaches involve criminal offenses). Examples include: engaging in corrupt activity, coddling inmates who smuggle illegal substances into the facility, fraternizing with charges (including parolees and other conditionally released convicts) or their family members, and disrespecting the rights of inmates. All corrections officers have an obligation to society and the law. This is carried out by performing sworn duties, which are to serve direct and indirect stakeholders of the facilities that employ them. Keep the peace and ensure order in the facility. 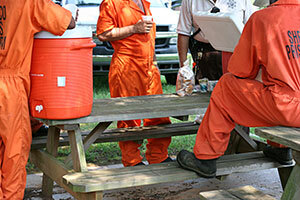 Provide the appropriate rehabilitation services to inmates. Abide by and enforce policy at all times. Right to fair and just compensation, including employment benefits. Right to due process, especially if accused of policy violations. Corrections officers are also entitled to privileges that are within the bounds of law, and which complies with institutional policy. Unlike rights that are implicit in the profession, privileges are subject to the discretion and approval of superiors; sometimes, to the availability of resources (time, manpower, funds, logistics). Examples include: switching duties with a consenting colleague, participating in career-related training, and joining legal and ethically permissible competitions. 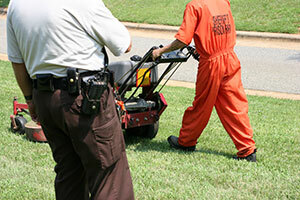 An essential part of the corrections officer's job is the awareness and knowledge of the rights and responsibilities of inmates (or, in non-prison environments, parolees and alternatively sentenced offenders). As explained in the earlier chapter, even if all sentenced criminal offenders are denied of certain civil liberties as punishment, they shall continue to enjoy basic human rights and constitutional guarantees. Failure to do so could warrant a Bivens action or a Bivens complaint, a lawsuit which sentenced offenders can file against erring corrections officers. Are not discriminated against for their skin color, physical appearance, race, gender, sexual orientation, religious beliefs, and other attributes. Receive basic necessities like food, water, clothing, and decent living conditions during incarceration. Exercise the rights to which they are entitled. Right to be treated fairly, with dignity and respect. Right to privacy, due process, and initiate a grievance procedure. Right to be informed of policy in the corrections facility. Right to healthcare and personal-development training. Treating others fairly, with dignity and respect. Abiding by policy in the corrections facility. Maintaining clean and decent living quarters.